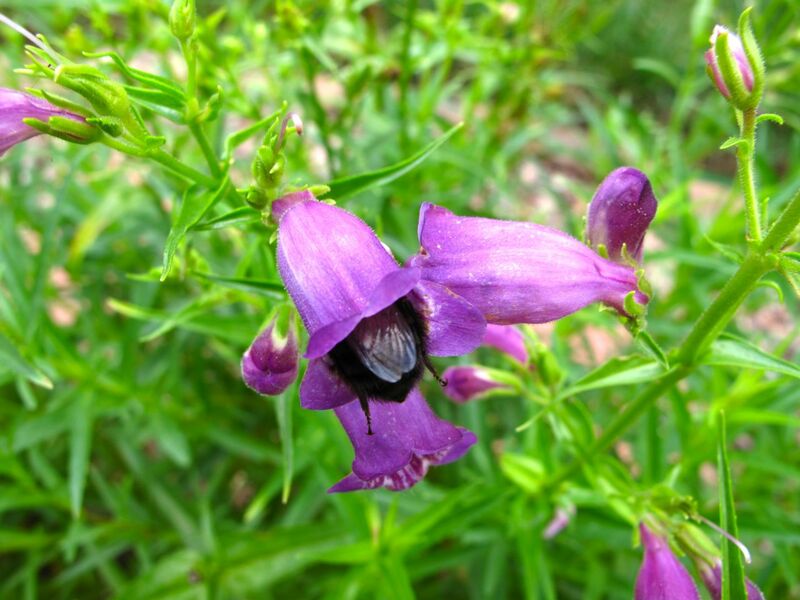 In the meditation circle this morning numerous bees were flitting in and out of the Penstemon mexicali ‘Pike’s Peak Purple’ (Beardtongue). Watching them back out of the purple, bell-shaped flowers made me smile. The bee struggled for a moment but then regained control and flew away, thus escaping the trap set by this ominous-looking spider. I had not noticed the spider myself and was startled to realize its presence. I think this is a Argiope aurantia (black and yellow garden spider), a common garden spider in the U.S. and not harmful to humans. This spider incorporates a dense white zigzag in the center of its orb web. This zigzag feature is a stabilimentum, the purpose of which is not confirmed, but one possibility is to warn birds away from the web. Interestingly stabilimenta are only found in spiders that are active during the day. 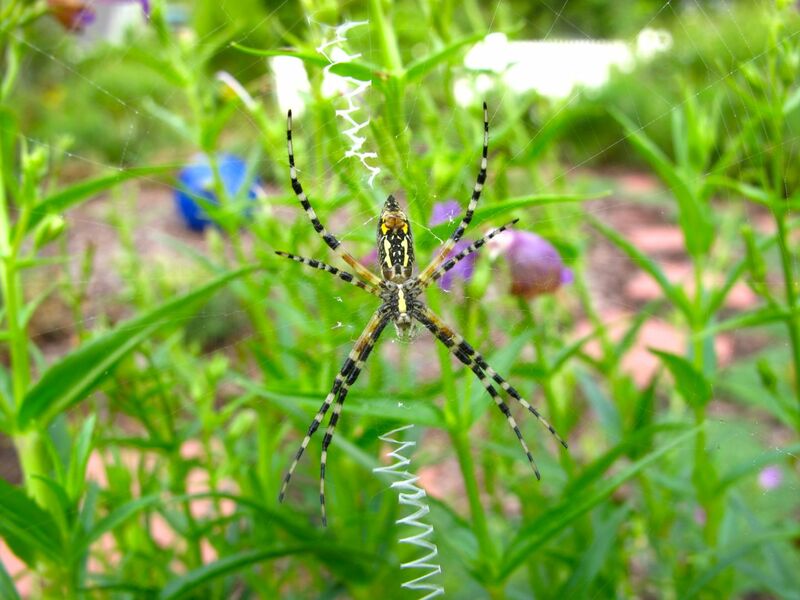 This entry was posted in garden and tagged Argiope aurantia (black and yellow garden spider), meditation circle, meditation garden, meditation path, penstemon, Penstemon mexicali 'Pike's Peak Purple' (Beardtongue), perennials, photographing nature, summer garden on July 30, 2012 by pbmgarden. A real beauty! I had a similar one in my garden last autumn. That’s a great shot of him/her! Thanks. Yes–amazing pattern and color. Amazing, your bee had a lucky escape! Yes, indeed. Glad I watched the episode or I might have walked into the spider’s web myself.